Sometimes it starts with an idea. Sometimes it starts with a need. Regardless of its beginnings, at Killeen Studio Architects, every project is a collaboration between you and your project team. It is the only way we know to deliver the high quality architectural designs and construction documents you need for an outstandingly successful building project. For more than 15 years, our St. Louis based architectural firm has provided a full range of commercial and residential architectural services to developers, contractors and homeowners. We design distinct spaces in which people enjoy working, learning and living. At Killeen’s, architecture is the process of fine-tuning an idea through a design process to achieve the perfect balance between aesthetic, function, program and budget. Killeen Studio Architects was founded in February 2000 by the husband and wife team of Michael and Anne Killeen. In 2005 we moved our operation into 3015 Salena, an 1886 factory building in the historic Benton Park neighborhood of St. Louis. The building was originally built by and home to the Lecoutour Bros Stair Manufacturing Co, and it was subsequently occupied by an ice cream cone company, a wooden heel manufacturing company, an aluminum siding company and the Continental Lithography Company, before being purchased and renovated by Killeen Studio. Century old pine floors were salvaged and refinished, brick walls were restored, and open, spacious rooms replaced walled office partitions. 3015 Salena is currently occupied by Killeen Studio Architects and several other businesses who enjoy the well-lit, comfortable workspace. Killeen Studio was founded on a simple principal. Provide excellent service, bring creativity to all you do, watch the bottom line and be selective. For over 17 years, we have applied that philosophy to all of our projects from a humble home addition, to exhibit work at the Magic House to multi-million dollar development and brewing projects. We are selective when it comes to new projects to assure we have the right staff and the capacity to help accomplish our clients goals. Killeen Studio Architects is a full service firm that serves the commercial and residential markets. We use the most advanced building design and construction software — Revit®. It has features for architectural design, MEP and structural engineering along with construction and visualization. High quality architectural drawings mean fewer problems and mistakes on-site and better budget control. We are fully insured and licensed in Missouri, Illinois and Texas and we have been recognized for design excellence in the media and by the Landmarks Association. We have also implemented the latest 3D technology that gives our clients the ability to visually 'walk through' their project even in the earliest stages of design. CLICK HERE for more information! Our commercial projects range in size, type and complexity and include luxury and boutique hotels, Michelin starred restaurants, boutique retail environments, franchise outlets, educational institutions and offices along with multi-family housing and mixed use developments. “Our story is one of proving ourselves early with clients and then fostering ongoing relationships in which they trust us to deliver excellence time and again,” says Principal Architect and company owner Mike Killeen. Early projects included designing renovations in the city's historic neighborhoods as well as office remodels for Anheuser-Busch. 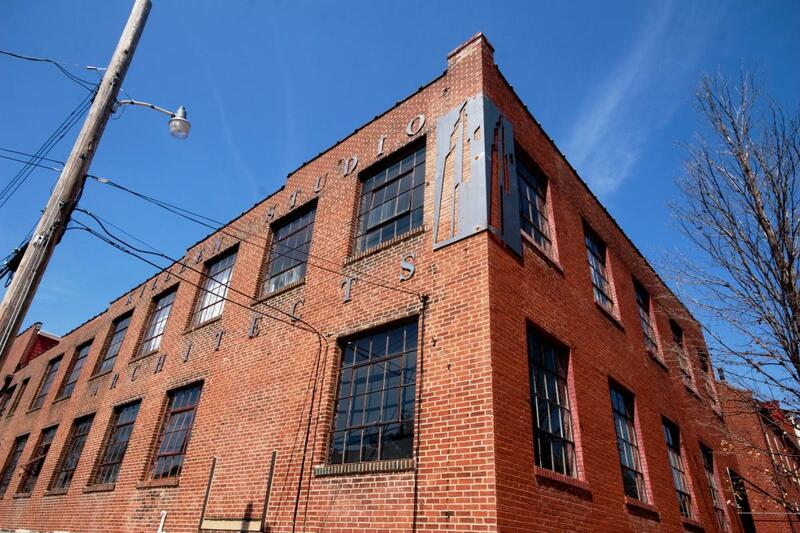 Since then, Killeen Studio has been awarded increasingly larger projects from A-B at its headquarters in St. Louis and at many of its satellite breweries across the nation. City of St. Louis School Retirement ystem Peacemaker Lobster and Crab Co.
Our residential portfolio includes luxury private residences, unique spaces, residential lofts and additions to private homes. Our internal project management systems are designed to give homeowners the support and guidance they need at every stage of the architectural and construction process. Aesthetics are very important. But interior design is about so much more than picking the right color chair. The space must function well and the materials must be durable enough for the anticipated wear and tear. In some cases special needs must be accommodated. For example energy efficient lighting may be an important consideration in a hotel and non-allergenic furnishings may be a critical factor for a healthcare environment or an asthma sufferer’s home. We offer a full slate of architectural services and we believe it is our role to help guide you and your project from exploring your initial idea to the last day of construction. From the attentiveness of our detail orientated staff to our system of scheduled quality control checks, our work is always thorough and our practices efficient. However, there are some areas in which Killeen Studio Architects excels. Our staff is LEED-certified and we are committed to creating environmentally responsible structures. At Killeen Studio Architects, we walk the talk. We live and work in Benton Park, a historic neighborhood in St. Louis. Our office building, was a dilapidated eyesore when we purchased it in 2004, is now a comfortable creative working environment and the recipient of the “Most Enhanced” Landmarks Award. Mike is a board member of the City of St. Louis Preservation Board, a member of Missouri Historic Preservation Alliance, and was the chairman of the 2010 Missouri State Historic Preservation Conference.